It is natural that people always like to look young. Thus, it makes them feel good and confident. However, due to certain factors, some young people look old while old people look young. As you age, you get more conscious about your appearance. Well, don’t worry since there is a secret to stay young even when you age. This secret is the best face mask for anti-aging. Good thing, you can save more of your money, since you can do anti-aging best face mask at your home. You may not be aware of it, but the solution can be at your kitchen ingredients. You can now make your anti-aging treatment and enjoy its benefits without spending much for expensive treatments. The following are some of the best face masks for anti-aging that will help you to look and feel young. To do this anti-aging face mask, you need a ½ tablespoon of pomegranate seed oil and one tablespoon of coconut oil. First, get a bowl and mix the pomegranate seed and coconut oils. Put it on your skin for one hour and wash it off. This anti-aging face mask can be used daily. 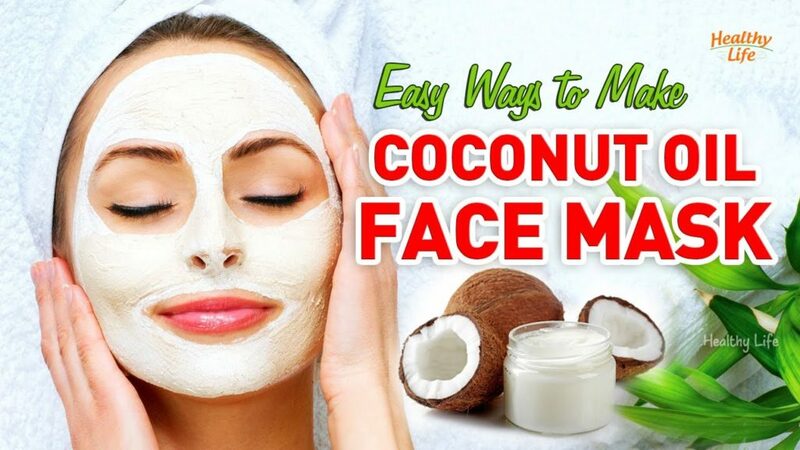 The coconut oil face mask will make your skin firm and prevents it from damage. It is perfect to protect your skin from sun tanning and revives it. To complete an avocado face mask, you need half an avocado and one tablespoon of oats and follow these procedures. Crash the avocado in a bowl and add oats to Apply the mask on your face for 10 to 20 minutes. Rinse it off with warm water and dry. You can apply the avocado face mask 2 to 3 times a week. This mask is rich in antioxidants that help to fight signs of aging like fine lines, sagging skin, and wrinkles. In doing this, you need one banana and one teaspoon of rose water. Firstly, smash the banana in a bowl and add the rose water to it. Mix it and gently apply to your face and neck. Allow it to dry for 15 to 30 minutes and rinse off with cold water. This face mask can be applied every alternate day. The banana face mask is rich in Vitamin A and E which heal the skin and make it glow. It also helps to eliminate unevenness of skin tone and pigmentation. You need one tablespoon coffee, one teaspoon of coconut oil, and one teaspoon of cocoa to make a coffee face mask. First, you need a bowl and mix the cocoa powder and coffee. Add coconut oil to form a paste. Put the paste on your face and neck. Keep it to dry for 15 to 30 minutes. Gently remove it through exfoliating with cold water. The coffee face mask can be used 2 to 3 times a week. It helps you to have a smoother face and reduce fine lines. It also clears the skin because it removes dead skin cells. You don’t need to worry since you can still look young with the best face mask for anti-aging.